A Guide to Collecting Toy Cars — Hot Wheels, Matchbox & More! Toy cars aren't just for children. Collecting toy cars is time-honored hobby of adults everywhere. Some people collect cars because they are automotive enthusiasts with interest in a particular model of car or era of car design. Others find that collecting cars is a fun way to reconnect with their childhood. Some collectors use model car as investments as rare or special toy cars are often quite expensive, resulting in profits for collectors with a keen eye. Whether for fun or for profit, collecting toy cars is a rewarding activity for any enthusiast. Toy cars have been popular for just as long as real cars. Metal diecast cars were originally produced by car companies in the early days of the automotive industry. Scale models of their products were used as a way to promote their product and get a whole new generation excited about cars. As diecast cars proved incredibly popular, new types of toy cars were introduced to the market from plastic model kits to slot card and radio controlled cars. Diecast cars became increasingly realistic and accurate, often matching their real-life counterpart to perfection. While many original diecast metal toy car brands are discontinued and available only on the resale market, Matchbox cars and Hot Wheels are still going strong with many new toy cars released every year. The Early Days of Promotional Model Cars Learn about the origins of toy cars with this informative article by an automotive historian. Creating a Nation of Drivers American on the Move, part of the Smithsonian Institute, explains how early automotive advertisers targeted children with toy cars. National Toy Hall of Fame – Hot Wheels A profile of Hot Wheels that covers the toy's history and success in the American toy market. British Toy Car History Brief summaries of significant British models and miniature toys, including the history of diecast metal toy cars. History of Matchbox Cars The Victoria and Albert Museum provides an overview of the history of Matchbox cars. Many collectors enjoy focusing on a specific type and brand of toy cars. Popular cars include diecast toy cars like Hot Wheels and Matchbox cars. 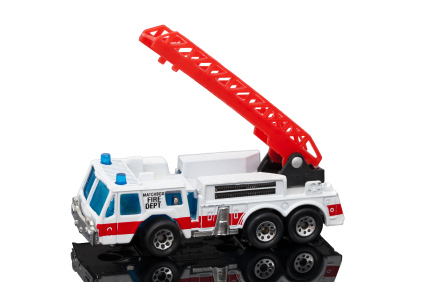 You may prefer interactive toy cars like radio controlled cars or model car kits. Once you'd decided on a category, consider whether you're interested in vintage models, new models, or both. You can even target specific models or brands, like vintage Corgi brand cars or vintage Matchbox cars. One consideration is that older, rarer toy cars are more expensive and tracking them down through the resale market often takes effort. Beginning your collection with newer models is much cheaper and faster, but less immediately profitable. Online auctions, garage sales, and vintage stores are great places to look for popular collectible cars whereas toy shops and specialty online store will carry fun, new cars. However you decide to approach collecting toy cars, begin by learning more about the products and toy collecting terminology. This is particularly important if you're collecting older models, since you'll have to assess each car's condition and details. Once you begin your collection, maintain proper care and storage of your cars. Many collectors like to display their cars, but don't forget to save the original packaging if you're treating a car as an investment piece. Hot Wheels Collecting Tips This article provide easy tips on how to find valuable Hot Wheels collectibles. Famous Collectible Toy Cars Learn about the most significant brands of collectible scale model toy cars. Glossary of Toy Car Collecting Terms Familiarize yourself with the proper toy car collecting terminology with this helpful guide. The Hot Wheels Guide – Basic Tips Here are a few general tips for beginners starting Hot Wheels collections. Rocky Mountain Hotwheelers Club – Resources Explore websites of other collectors and informational sites to learn more about collecting Hot Wheels. Toy museums and exhibits are a great way to learn more about toy cars. These exhibits often have very rare and collectable toy cars that are a must-see for any toy car enthusiast. You'll see diecast metal promotional model cars from the earliest days of toy cars to cutting edge, special edition hot wheels. Visiting a toy car museum is a wonderful way to see how toy cars have evolved over the years. Toy car collections are generally exhibited at automotive museums, toy museums, and children's museums. Local expos and trade shows are another great way to view different types of toy cars. These shows let you see new models as well as what is currently available on the resale market. Visiting these exhibits also helps you learn more about collecting cars as you'll meet other collectors and enthusiasts. This is a fantastic opportunity to trade tips on managing and growing your collection. Antique Toy and Firehouse Museum Visit this collection of historical and modern toy cars and fire trucks, and see everything from vintage Tonka trucks to NASCAR toy cars. Car Toys at the San Diego Automotive Museum This exhibit is a comprehensive look at toy cars, their history, and their significance. Cast Iron Vehicle Collection at the National Museum of Play This museum features a large collection of historically significant toys, including a collection of cast iron vehicles and toy cars. DFW Elite Toy Museum View an extensive personal collection of rare and valuable toy cars and collectibles. National Automotive & Truck Model & Toy Museum This toy car museum within an automotive museum features toy cars and trucks dating back to 1894. South Texas Diecast Collectors Club This club offers an extensive guide to Hot Wheels models, providing descriptions and pricing information. Hot Wheels at the Petersen Automotive Museum This famous automotive museum features a significant collection of Hot Wheels design studio items including models, molds, and patterns. Dinky Toys Collectors Association Find information about one of the most collectible brands of vintage diecast toy cars. Canadian Toy Collectors' Society – Toy Collector Tips and Resources This toy collecting group offers great resources on general toy collecting and toy car collecting.